Hair loss is an issue faced by many of us today. We take a lot of measures to control hair fall but all of it ends up in vain. A hair strengthening shampoo, oil or spa treatment can resolve your problem temporarily. But in the long run, you have to seek the help of professionals who can help you by suggesting the best hair fall control solutions. You can opt for a permanent solution by undergoing hair transplantation. Most of the specialists recommend a Hair Transplant to fix thinning of hair and balding. There are various techniques used for Hair transplantation but Follicular unit extraction popularly known as FUE Hair Transplantation (Follicular Unit Extraction Hair Transplant) is becoming the most popular technique among people with hair loss due to its technical superiority. It helps in regaining your hair by mimicking natural looking hair with minimal pain. FUE hair transplantation in Hyderabad is certainly the most popular one. Regain your lost hair volume as the techniques available at Alvi Armani Hair Transplants India can give you natural effective results. Hair transplantation can also be used to restore eyelashes, eyebrows, and beard hair other than hair on the scalp. What can you achieve after Hair Transplant? It is a permanent hair loss control solution. The hair transplanted in the balding region grows permanently. This technique assures that the hair from the back of the scalp genetically grows for the rest of your life. The transplanted hair requires no special maintenance and can be treated as normal hair. You can wash, comb, oil and cut your hair normally giving natural results. Alvi Armani is widely spread in India in various cities like Bangalore, Nagpur, Jaipur and Chennai and many others. Alvi Armani has the vision to make FUE hair transplants easily accessible to people in order to achieve major advancements and patient satisfaction. If you’re looking for hair loss treatment and FUE hair transplant in Hyderabad then visit Alvi Armani for the most efficient hair restoration sessions. 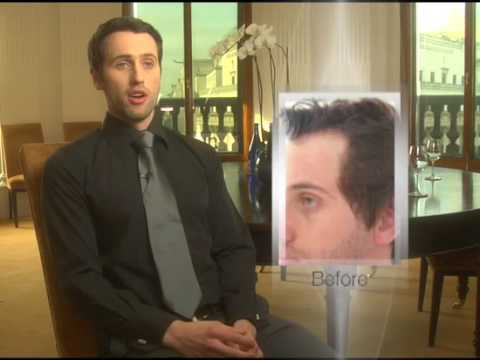 Hair Transplantation – Efficient Remedy for Hair Loss. Alvi Armani Pune- The Best Time For FUE Hair Transplant.